We have an addiction and have relapsed with Relapse Records. Relapse Records will remain your one stop shop for all things Dying Fetus . Re-signing with Relapse Records seemed like the right thing to do for the band as both Dying Fetus and Relapse Records have grown over the years. So our fans can look forward to more brutality from both parties. The band will return to tour Europe this summer, starting on July 24th and will be performing at Bloodstock Festival at Catton Hall, Derby on 11th August before heading to London to play an intimate show at The Barfly in London the following day. 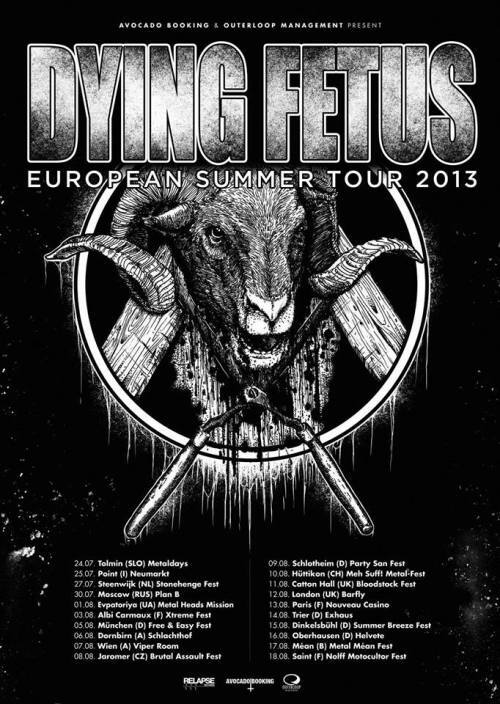 A complete list of European tour dates can be found below. Tickets for the London show are available HERE and HERE. 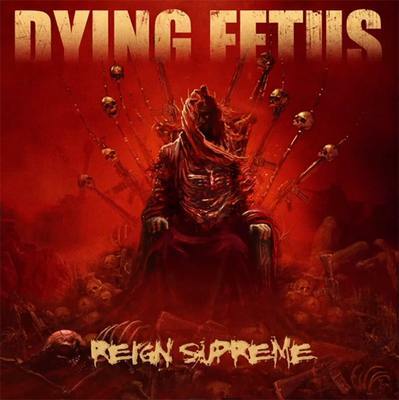 Reign Supreme is streaming in its entirety on the Dying Fetus Bandcamp page, which can be found here.